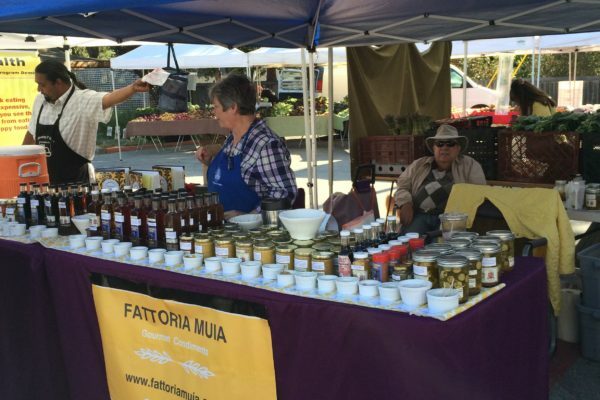 Fattoria Muia (meaning Muia’s farm in Italian) is a small, family owned property in Carmel Valley, California that produces the highest quality, small batch extra virgin olive oil as well as other delicious snacks and condiments. Fattoria Muia came into existence when we bought our home in Carmel Valley, California in 1998. 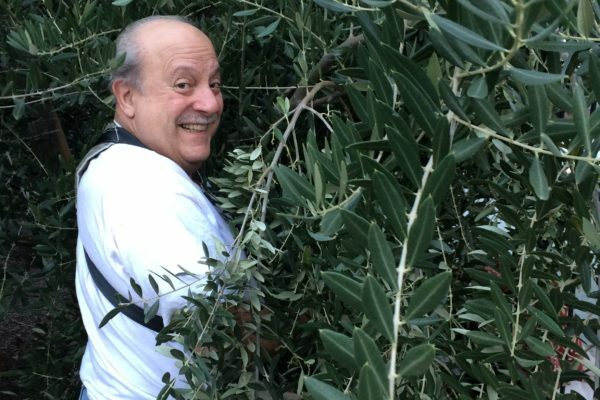 We were considering what to do with this amazing land and while growing grapes to produce wine was an option, the idea of growing olive trees to produce extra virgin olive oil seemed much more appealing. Soon the trees were planted, a drip system was installed and we were on our way. As the trees matured, we attended classes at UC Davis to learn more about olive growing techniques, how to produce olive oil and oil taste evaluation. 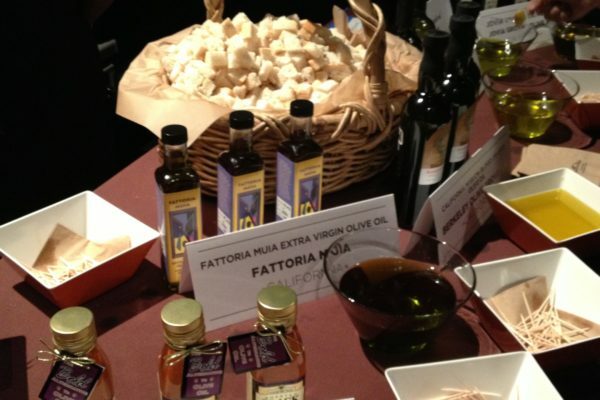 As part of our research we visited Italy and Greece and eventually we joined the California Olive Oil Council. Our small production olive grove began with 103 trees of Italian, Greek and French varieties. Over the years we have reduced the grove to 87 trees to allow the trees more breathing room and to make room for the Fattoria Muia Bocce court. The trees loved it – in fact, our 2013 vintage of oil was a winner in the 2014 Good Food Awards for our Extra Virgin Olive Oil. We are very proud to be recognized by such a prestigious award. Since our tree reduction, our production has increased more than we ever hoped. Hand picking the harvest has become a yearly event. In 2009 we began to expanded our product line under the new label of AMIDON & d’AILLY label that represents Charlotte’s French heritage. Products in this line include upscale condiments like real fruit flavored Balsamic vinegars, mustards, pickled vegetables, spices and unusual jams, as well as desserts like Olive Oil Cake. In 2011 the cookbook, “DISHING IT OUT Recipes That Work” was published that includes recipes from Charlotte, her family and friends. The gardens that surround the olive grove are full of interesting fruit trees, such as Australian Finger Lime (from the rainforest), Yuzu, Meyer, Limoncello & Pink lemons, Kieffer (Thai Bai Makrut) & Persian limes, Santa Clara & French plums, Montmorency cherry, Blood & Navel oranges, French pear, French fig, Palm fruit and Pink Pearl pink apples. It’s amazing what fits on one acre! 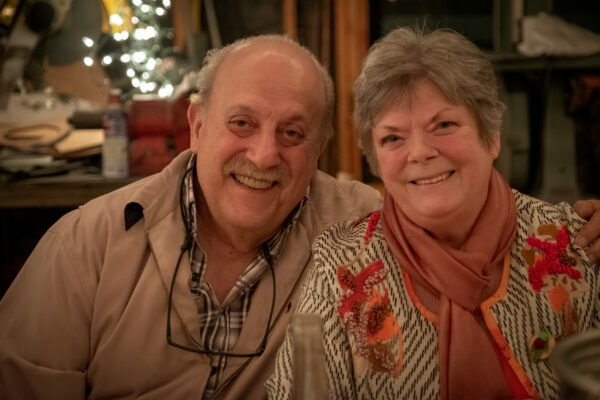 Carl and Charlotte have lived all over the US, spending the majority of their time in Seattle, Washington before deciding to “retire” in Carmel Valley. 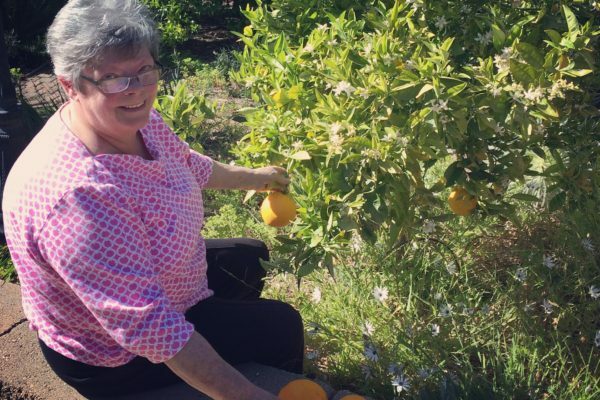 Their time in Carmel Valley has been busy with maintaining the olive grove and surround gardens and developing all types of crafts including herb gardens, metal art and fabrication. Check out Carl’s unique metal items and abstract metal sculptures at SheetMetalHappens. 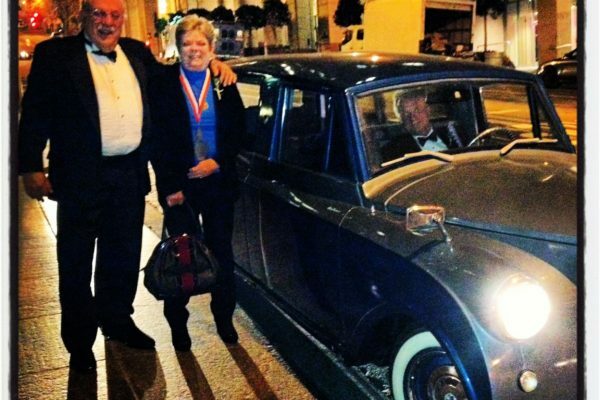 Their passion for culinary arts has lead them to become members of the American Institute of Wine and Food and the Knights of the Vine. Carl has taken several classes from the Culinary Institute of America in Rutherford, Ca. and classes from l’Auberge in Carmel. Charlotte is a member of Les Dames d’Escoffier and has taken cooking classes at l’Auberge in Carmel from Executive Chef Justin Cogley and Executive Pastry Chef Ron Mendoza.